Although it was pushed back a few days this year, Tax Day is here -- a day long associated with the dread of rushing to fill out complicated forms and, perhaps, making a payment to Uncle Sam. But, there is some good news! There are a number of deals to make the day a bit better, WTOP reports. Bob Evans:Download this coupon to save 30 percent off your entire purchase. Boston Market: You can get a half chicken individual meal, two sides, cornbread, a regular drink and a cookie for $10.40. 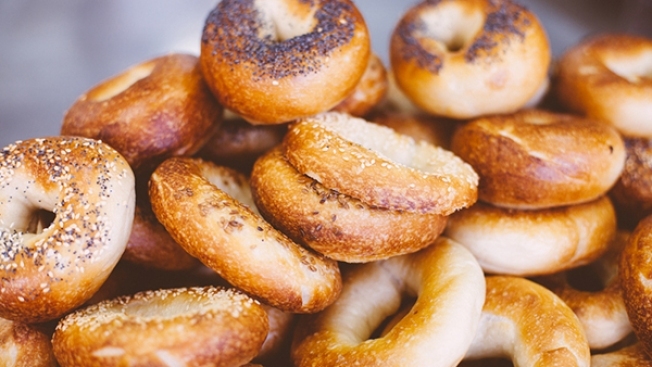 Bruegger's Bagels: Grab a big bagel bundle for $10.40, filled with 13 bagels and two tubs of cream cheese. This deal is available through Wednesday. California Tortilla: Just say "tax crunch" when ordering to claim your free chips and queso. Capriotti's Sandwich Shop: Get a free small to medium upsize to take the sting out of Tax Day. Firehouse Subs:Download this coupon to get a free medium sub with the purchase of a large or medium sub, chips and drink. Great American Cookies: You can get a free birthday cake cookie with no additional purchase necessary. HydroMassage: If tax day has you extra stressed, unwind with a free HydroMassage at Planet Fitness. Don't have time for a massage during the week? This freebie is available through Saturday. Noodles & Company: Take $4 off an online order of $10 or more when you use the code TAXDAY17. Urban Bar-B-Que: Enjoy half-price ribs with the purchase of two sides. PF Chang's: Get 20 percent off takeout orders placed online with code TAXDAY. World of Beer: Toast the end of tax season with a free beer from World of Beer. Beer selections differ based on location, so check ahead if you have your heart set on a certain draft.